The cable of the spiral floor lamp is contained within and simply spirals down and outwards to form the base. There is a switch at the lamp holder and the optional shade is available in various sizes and colours. 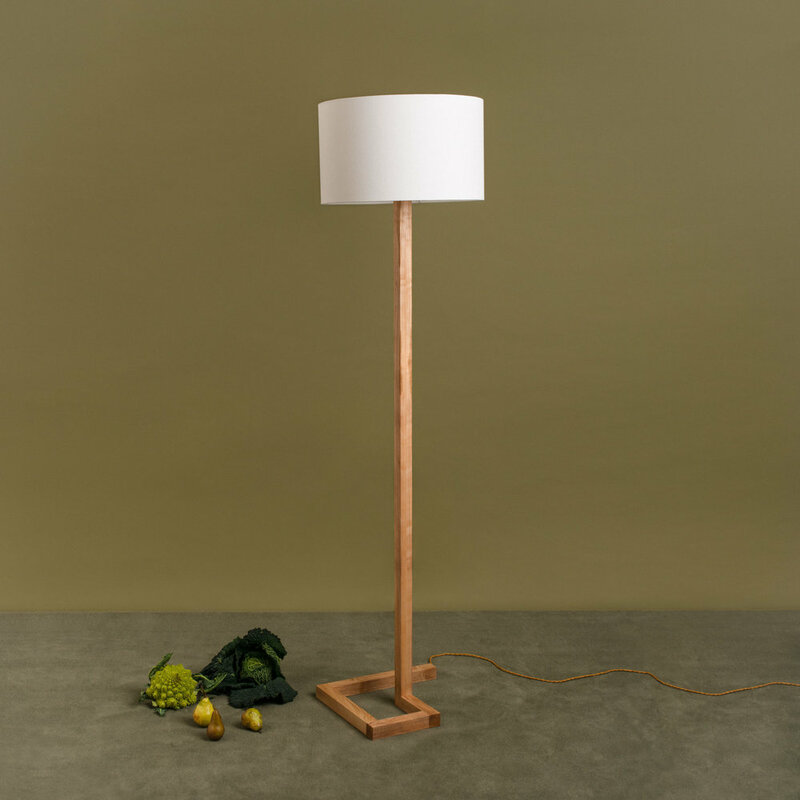 The spiral floor lamp is made from wild Irish ash or ebonised European oak. The wild Irish ash is sustainably sourced from a saw mill in Co. Wicklow. The European oak is sustainably sourced and ebonised using a natural vinegar and iron solution. A hardwearing, natural, hand rubbed oil finish is applied. Dimensions: height 190cm, base 40 by 40cm, shade (shown) 50cm by 30cm height.